Justin had just returned from Europe and he told me (Melanie), someday, he was going to open a hostel. In that moment Justin made it his mission to show me just what I was missing out on and we began our journey to explore as many hostels as we could, all the while jotting down notes on how we could bring this affordable and social hospitality model to Maine. But after years of business planning we still needed that one most important piece to bring this dream to life: the perfect space & location. We knew we found the perfect place in the Fall of 2017 when we came across a Bed & Breakfast for sale in Carrabassett Valley, Maine; an area that holds special significance to me as a lifelong Sugarloafer, graduate of UMaine Farmington, and former ski instructor & mountain employee. 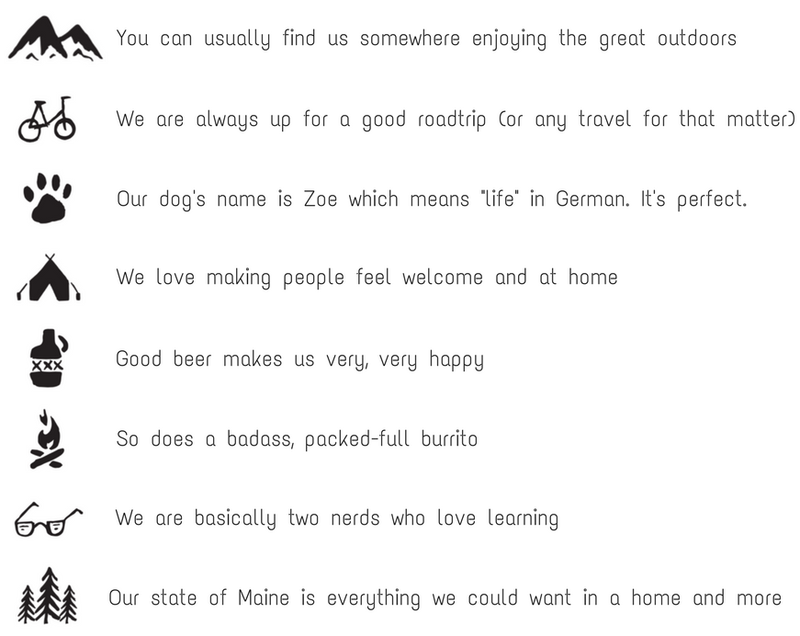 The location of Hostel of Maine couldn’t be more perfect. We instantly knew that it was H.O.ME.